WordPress 4 is released but should you upgrade? 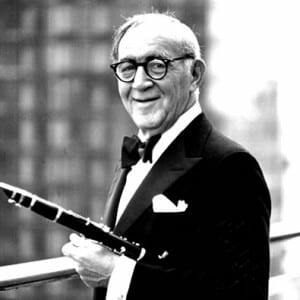 WordPress V4, named “Benny” in honor of jazz clarinetist and bandleader Benny Goodman, the next release from WordPress was released today Friday 5th September. V4 has been in development for a number of months and has gone through a number of beta tests and release candidates to the WordPress community. So for most sites you will see a bright yellow notification urging you to upgrade now. BUT WAIT! Should you really upgrade to V4 straight away? This is a brand new version of WordPress with many new lines of code and features. Although it has been well tested by the development community in our experience a 4.1 release will come fairly quickly afterwards. Why is this? Well once WordPress gets out into the real world it gets a much bigger test and often will expose some issues (sometimes important issues such as security) that were not discovered during testing. We would normally recommend waiting a while to see if there are any updates before going through the update process. Are your plugins compatible? If your site uses a lot of plugins it can take a while for the plugin developers to check they work with the latest version of WordPress. If you update straight away and this breaks your site due to an incompatibility then that is never a good thing. Again, waiting a while to check your plugins have been updated (or not) and confirming compatibility is probably a wise move. Is your theme compatible? For the same reasons some elements of WordPress may have changed that render parts of your theme incompatible which could also break your site. Do you really need to upgrade? The other thing to consider is whether you really need to or want to upgrade. Unless this is a security release (which as far as we are aware it is not) then new updates invariable offer some new features. Version 4 is not a significant release in that it has some usability improvements and some new features but nothing particularly ground breaking. Considering the time it takes to backup your site, check your plugins and themes and run the update you might think twice about updating. If you are worried about upgrading or just don’t want to have to deal with it anymore give us a call to discuss how we can help. We offer a range of maintenance packages to securely backup and safely update and optimise your site for you so you can concentrate on the important things. Call us today on 02 8097 7957.